The true cost of design rip-offs? 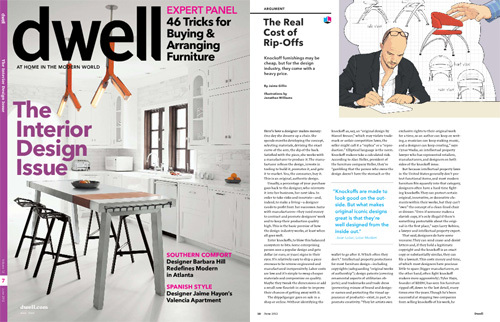 I was reading the latest issue of Dwell and they had a great article on the real cost of rip-off products, namely furniture. It’s a story that rears its head all the time, the arguments are normally heated and weighted/stacked towards either side, but as Dwell alluded to, there are amiable solutions. If you can’t afford to buy a licensed original, as I suspect many can’t, myself included, there are alternatives. Buying a cheap knock-off is a compromise, not only in materials and craftsmanship but in ones return on investment. I’m not going to even get into the ethics of copyrights and intellectual property. On the other hand I HATE it when you can’t afford to buy a reissued classic and are made to feel like a pauper and shunned because of it, you know it happens. I’ll be the first to admit that I own a copy. Nathan has a knock-off Eames Rocker, yes, I knowingly bought a knock off, it was cheap. The build quality is fairly good, but it’s nothing like the original. Does it bug me? Sure, but I can’t expect a 2yr old to treat it with love and respect the originals deserve, but he can learn to appreciate its form. When he and his pending sister are old enough to appreciate it I’ll buy an original, and mind you when I say original I mean just that, an old fiberglass one, not the current licensed Herman Miller reissues. Ironically these older, original units are are better value for money and are true classics, which brings me to my next point, buy 2nd hand! There are some amazing deals to be had buying 2nd hand vintage pieces, classics or not their quality is probably going to be much better and they are relatively inexpensive when compared to their modern day counterparts. Last year I bought an original Louis Poulsen PH 4/3 pendant lamp shade for around R1,500 in mint condition, the reissue is R5,000. Our Poul Cadovius Royal System Wall Unit is a much sought after collectable and retails for over R20,000 these days, I picked mine up on Gumtree for R900. If you are not an avid Gumtree, thrift store or bargain hunter then shop at an amazing array of local vintage and refurbished stores. One of my favorites is Vamp Furniture in Woodstock. Paula and Michael are gems, their eye for detail and meticulous handiwork are a marvel. With their new found collaboration with Kerrod Antiques they are offering some truly amazing collectables at affordable prices. My eyes were glued to their mailer this week seeing a classic ‘Dr Glob stacking chair’ designed by Philippe Stark for Kartell from the early 90’s, a true classic, on offer for only R995, you’d spend that on some Chinese knock-off and then some! If you are looking for true Danish design then the place to go it Space for Life, a true Mecca of vintage Nordic collectables, usually well priced compared to some of the ‘other’ mid-century modern stores around town. Further still why not invest in lesser known designs by great international designers? I’ve just ordered several ‘Lisboa side chairs’ for our patio, designed and manufactured by world renown Spanish designer, Joan Gaspar. I got an unbelievable deal on them. Abroad they are well over R1,000+ each, a local agent, Sean Williams Contracts was clearing out stock at below cost at R465 each. I can’t buy a Chinese knock-off for that and these are made in Spain by Resol, global pioneers in injection molding. Better yet why not look closer to home? 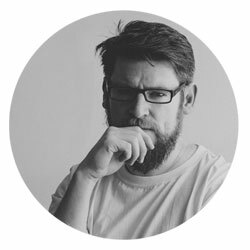 There are some AMAZING local designers, way too many to mention. A great spot to see several pieces by different local designers is Abode in the Biscuit Mill, aside from local designs they also stock a wide array of affordable design imports. Going a step further, why not DIY your own furniture? 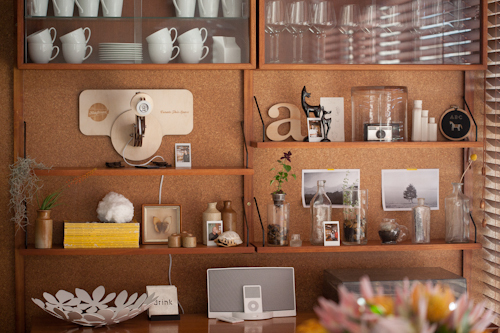 If you have a creative flair, design and build your own. Or how about buying a fixer upper and restoring it to its former glory? When you are contemplating your next purchase, think about how you are going to spend your money. 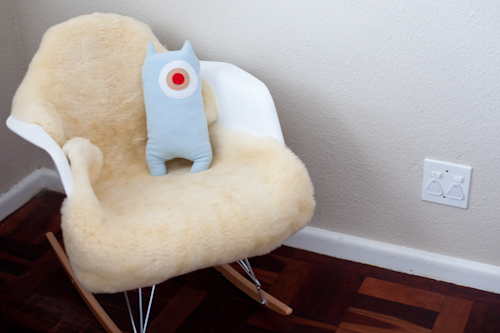 Do you want to buy a cheap knock-off or invest in tomorrows design classics? I’d love to hear your thoughts and feelings on design rip-offs, both as consumers and designers.